This post was written by Mike Frye. Mike is a Porsche 928 owner and a friend from Rennlist. 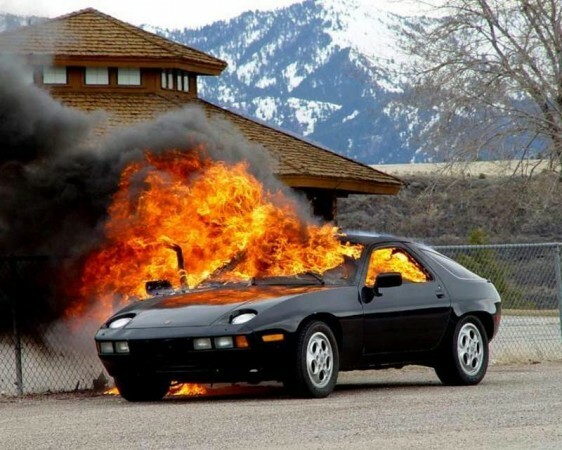 As one of the first people to answer our post requesting guest bloggers for FLATSIXES.com, Mike has served up a great article on the Porsche 928. If you want to get in-touch with Mike you can do so by commenting on this article or using the contact form and we will forward to him. About 18 months ago I found myself in a position to purchase a 1985 928. Over the years I had heard some of these “myths” about the 928, but I couldn’t pass up the opportunity to buy a car that I had coveted since I was a teenager (when it was the premier Super Car on the planet). Well I’m here to tell you that each one of these myths (like most rumors and stereotypes) has a kernel of truth to them but can easily be avoided with a little preventative maintenance or are not based on complete facts. The following is information I’ve gathered from personal experience or from others I’ve met through the 928 tech forum on Rennlist.com. I currently own a 1972 Triumph TR6, lovely car and with the roof down I receive many favorable comments BUT man I want a 928. It is like an addiction with me but the trouble here in Australia is to find a low mileage car. Here they are mostly around the 200,000 K’s plus. If you are fortunate enough to find a low mileage car, boy do the owners want big money.The other problem is I have to sell the Triumph for “She who must be obeyed” will not let me own two classic cars. I have the Triumph on the net for sale, but there aren’t many Triumph lovers out there. Ah well, all good things come to those who wait.